RUSH: Charlie Rose, 27 more women have come forward to say that Charlie did the nasty against their will. RUSH: “Charlie Rose Accused of Sexual Misconduct by 27 More Women.” And it’s further been learned that three CBS executives over the course of the many years that Charlie Rose was out Charlie Rose-ing these women knew about it and didn’t do anything. CBS was alerted to his alleged behavior as early as 1986 and as recently as April of last year, and they didn’t do anything about it. An additional 27 women have now come forward, 14 CBS News employees and 13 others who worked with Charlie elsewhere, according to the Washington Post. The Washington Post is nailing all their other news brethren in this sexual harassment business. 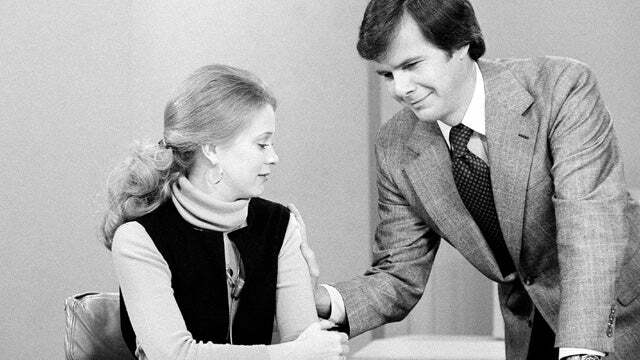 The Washington Post reported Linda Vester’s comments about Brokaw. And now the Washington Post is going after Charlie Rose again. And, by the way, we’ve got a sound bite here from Gayle King. Grab audio sound bite No. 17. CBS This Morning this morning. This is where Charlie Rose used to work until CBS finally fired him. 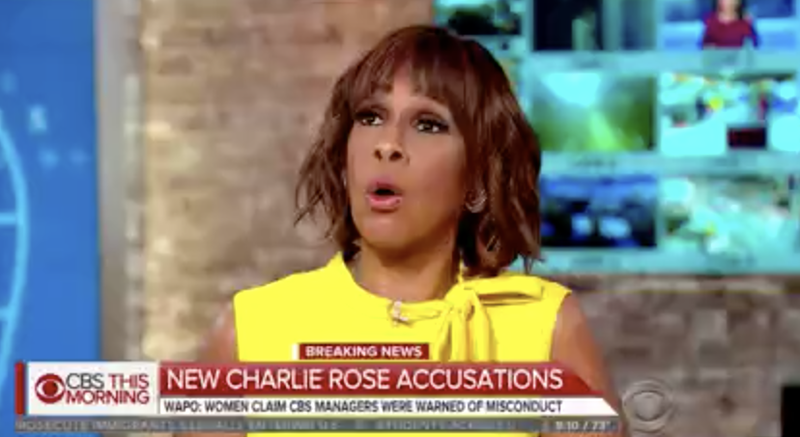 Gayle King on the news that 27 other women say that Charlie Rosed ’em, had this to say. KING: I feel sick to my stomach. And I don’t know what to say about this. You know, when the story first broke, I said Charlie was my friend. I still consider him a friend. I know that’s probably not the politically correct thing to say at this moment. But I don’t believe in abandoning friends when they’re down. I don’t know what more we can do to Charlie Rose except a public flogging. You see these allegations, you hear the stories, and it just makes you sick all over again. I just want us to move forward. RUSH: Yeah, we gotta stop talking about Charlie. I want to get back to Trump. I want to get back to Trump and Stormy. I want to get back to Trump and whoever. I want to get back to sexual harassment when it involves Republicans, but since it’s Charlie, I’m tired of it. Oh, my God. Can we just move on? Can we just move on? Charlie’s my friend, and I don’t want to hit Charlie when he’s down. It sounds like Charlie’s down a lot more than he’s up. Well, he could be up more than he’s down, now that I think about it. Depends on how you define the terms. RUSH: Speaking of Tom Brokaw, we are gonna go back to the Grooveyard of Forgotten Favorites. 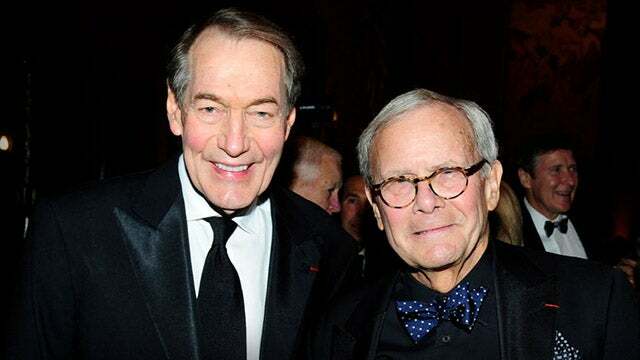 Another woman has come forward to identify Brokaw as having made unwanted advances against her. And we’re turning back the hands of time. Managers on this program from our Grooveyard of Forgotten Sound Bites and hits. I Read the News, by Tom Brokaw. It turned out it was our impersonator who had called her, and she fell for it hook, line, and sinker. (laughing) Yeah. At least it wasn’t somebody putting the moves on my mom. It was our Brokaw impersonator. Anyway, speaking of, I’m sitting here listening to this, it’s reigniting memories of the past, “What it’s like to read the news.” I’m looking at the defense of Brokaw that’s out there in all of the NBC sponsored media. And it struck me, I don’t know how many of you were alive and around when all we had was three networks and the evening news on. We had Peter Jennings. Who was before Peter Jennings? (interruption) Well, yeah, but I’m thinking who was the ABC person before Jennings was, and I’m drawing a blank. (interruption) No, Koppel never did the evening news. He did Nightline. Frank Reynolds. It was Frank Reynolds and Peter Jennings. They had Brokaw at NBC and John Chancellor, and then we had Cronkite and Dan Rather. And if you weren’t around, those people were actually treated — and all they did was read the news. That was the point, all they did was read the news. In a 30-minute newscast, they might have read the news for a total of eight minutes, introducing other stories. They just read the news. They were paid handsomely because it’s a unique talent to be able to look good on TV, and that’s what they were paid for, to have trustworthiness appear and so forth. There is some talent in reading a teleprompter, but nobody is gonna be paid seven or eight million dollars a year for doing it well. There are other characteristics. The point is they read the news and it was largely written by others. Now, they did big stories about how the anchors were the managing editors and they were in charge of the day’s news gathering and they had various meetings during the day to put together the evening news. And there were conversations with reporters all over the world. And it was really built up as a very unique, powerful, distinct, rare kind of job, when all it was was reading the news. And these people were lumped in with CEOs of major finance firms, manufacturing firms. The news organizations, the corporations that owned these newscasts did an excellent job of managing the image of their nightly news anchors, made them as big and as important as the president, as members of Congress, as people with real power. And all they did was read the news. All they did was read the news. They occasionally they did election night coverage. And they would occasionally interview people. But it just struck me as I was listening to this old bit of ours how much was made image-wise of people who read the news at 6:30 or 7 o’clock at night during the week.